Optimum Nutrition is among the bestselling, most respected, top names in the health food and athletic supplement industry. See these high ratings at Amazon (here) to see buyer reviews. They make a number of products especially useful to men and women who are working out to pack on muscle density and overall weight, but not fat. These include meal supplements and drinks like this BCAA powder: Pro BCAA. BCAAs are used by the body to put proteins to work creating muscle. There are three of them: L-Leucine, L-Valine, and L-Isoleucine. Most products of this kind provide a ratio in which L-Leucine is the top dog and that is the case here. It is the most vital of all three. BCAAs or Branched Chain Amino Acids are necessary for building muscle, repairing muscle, and protecting it. Without these, your muscles would not as easily recover from the stress and strain of long workouts whether those are in the gym or on the road. With BCAAs, you can build big but lean muscle that really works for you and does not just make you look bulky but without real power. BCAAs in Supplement or Food? 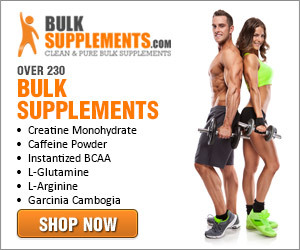 Can you eat to obtain BCAAs? Yes, they are present in high-protein foods like certain fish, chicken, beef, and soy. It is far easier for the body to digest and put BCAAs to use, however, in the “instantized” forms they take when you buy a drink mix like Optimum Nutrition Pro BCAA. Your body will almost instantly feel the change from sluggishness to being ready for anything. Drink mixes like these powders can be added to water and shaken without use of a blender; they are great for exercising on the go and can be taken shortly before exercise, during a short break, or within 45 minutes of working out. As a bonus, taking this drink mix will hydrate your cells too, something fitness gurus can’t stress enough. BCAAs support the other work you are doing and don’t take the place of toil and sweat. A plain BCAA powder isn’t anything to write home about, so manufacturers either make it flavored or recommend adding it to a flavored drink. Optimum Nutrition provides flavors like Raspberry Lemonade. Add two scoops of the powder to cold water and drink slowly. Each canister provides 20 servings if you level the scoop and the cost is less than $2 per drink; better than a bottle of electrolyte-enriched sports drink. Optimum Nutrition Pro BCAA contains 8 grams of BCAAs plus 13 grams of amino acids which are made more effective for muscle building by the presence of BCAAs in a ratio here of 2:1:1. Just beware that if you are allergic to soy products, they are found in this drink mix. Remember that these supplements do not stand alone. Your nutrition regimen should include good foods containing lean protein. Learn to cook with non-GMO, organic tofu so as to receive the benefits of soy. Enjoy those steaks, but keep the fat to a minimum and add more vegetables, less starch. Add sugary foods, starchy sides, and other treats only once in a while. A colorful plate full of steamed broccoli, carrots, peas etc. plus a piece of steamed salmon is far better than a steak covered in creamy mushroom sauce with a baked potato. Choose water over pop or beer and drink nutritional supplements like Optimum Nutrition Pro BCAA whenever you put your body under athletic stress. Buy Them! CLICK HERE to get Optimum Nutrition Pro BCAAs on Amazon.